High Top Roofing (a division of Fremin Construction, Inc.) is your number one option in the Charlotte metro area for replacing or repairing your residential or commercial roof. High Top has distinguished itself from other Charlotte roofers by delivering high quality roofing projects like yours on time and for a fair price over a long term history that spans over 30 years. Our "A+" rating from the Better Business Bureau and our "A" rating on Angie’s List are the best you’ll find among Charlotte roofing companies. Fair, competitive pricing on your project. A licensed, bonded contractor with $2 million in general liability insurance – twice the amount of insurance carried by most roofers in Charlotte. A local company with a direct hire workforce trained to deliver a high quality installation that roofing companies in Charlotte who rely on a sub-contract workforce will be unable to match. An Owens Corning Roofing Preferred Contractor with the best manufacturer and workmanship warranties you’ll find from Charlotte roofers. A final walkthrough on all projects to ensure you’ll become one of our customers who will continue to recommend us over and over again as one of the best Charlotte roofing companies. We’ll be here for you to support our work, long after storm chaser roofers in Charlotte have left the area and the insurance claims have been paid. You'll get one of the strongest roofing companies in Charlotte known for its prompt, reliable service and become part of a customer base that turns to High Top Roofing over and over again. Learn more about Charlotte residential roofing or Charlotte commercial roofing or Charlotte roof shingles. 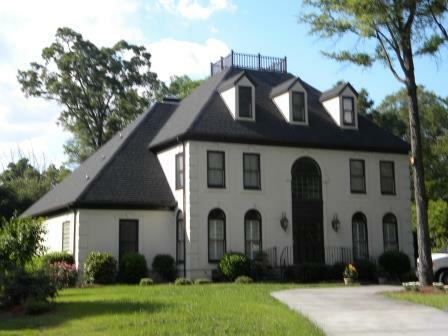 If you're not located in Charlotte, we're one of the leading Union County roofing companies. I called High Top Roofing and other Charlotte roofers for quotes. The first company gave me a quote for a very complicated repair process and the quote was over $2,500. High Top Roofing explained that while the roof material on the porch needed to be replaced, he could shingle the roof using the same architectural shingles on the rest of my roof. 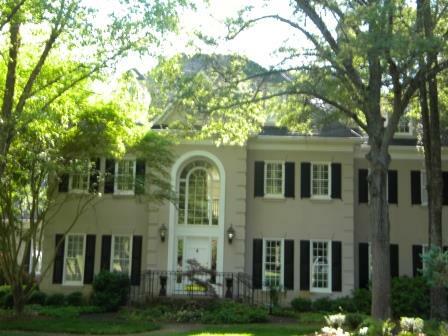 The quote was $1,000 less than other Charlotte roofing companies. High Top Roofing provided a detailed written proposal of the work to be done. Within 2 days of signing the proposal, they were at my house and the work was completed in one day. I am incredibly pleased with Earl Fremin and the team at High Top Roofing. They were friendly and I would recommend the company to anyone trying to find reliable roofers in Charlotte.